If your running the “Pre Release” version of Windows 7 it going to stop working 28/02/10, and when you try and upgrade it you will see this error. There is no direct upgrade path, from the Pre-Release, however all its not lost, simply do the following. 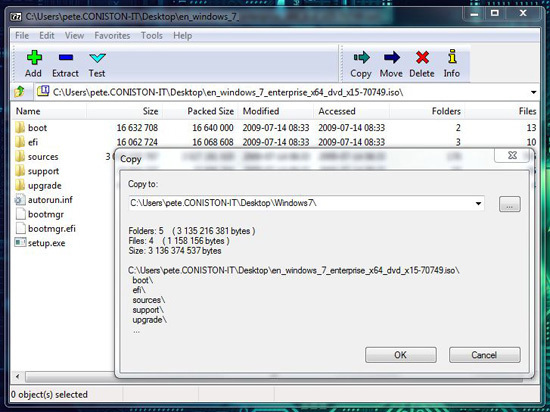 Note: This will only work if your upgrading to Windows 7 Ultimate (All the Pre-release versions are ultimate). 1. 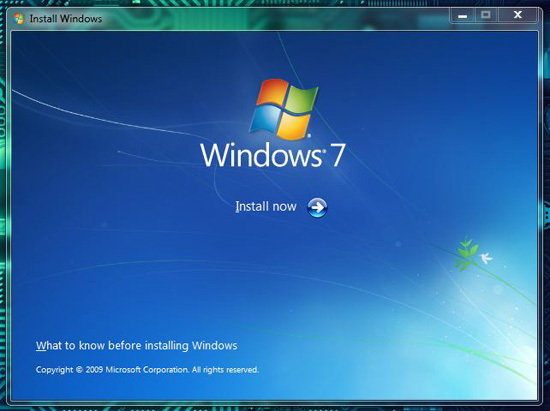 Are you installing the NEW version of windows 7 from a DVD or an ISO image? If it’s an ISO Image, then simply open the image with 7-Zip (Its free), Use that utility to extract all the files to your desktop. If you installing from a DVD then copy all the files from the DVD to a folder on your desktop. 2. 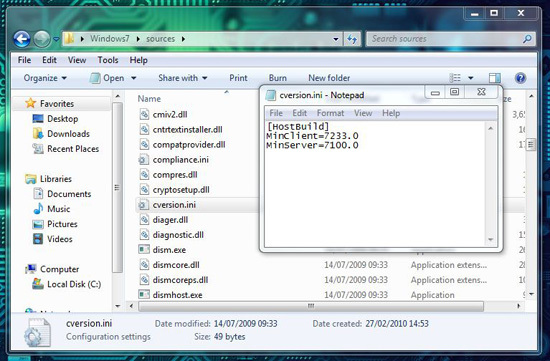 Navigate to the “sources” folder in there you will find a file called cversion.ini double click it to open it with notepad. 3. Locate the line that says “MinClient=7233.0” and change it so it reads “MinClient=7000.0”. 4. Save the file with the new value. 5. 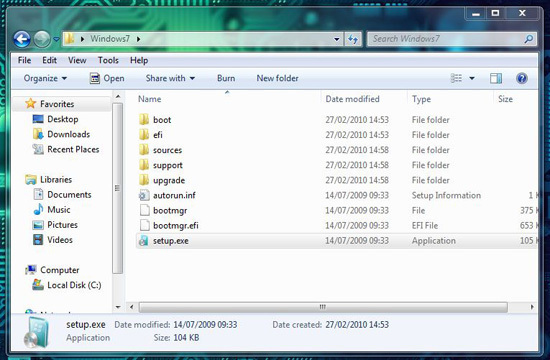 Now run setup.exe from the root of the folder (go up a level). 6. Windows Install will launch, click “Install now”. 7. 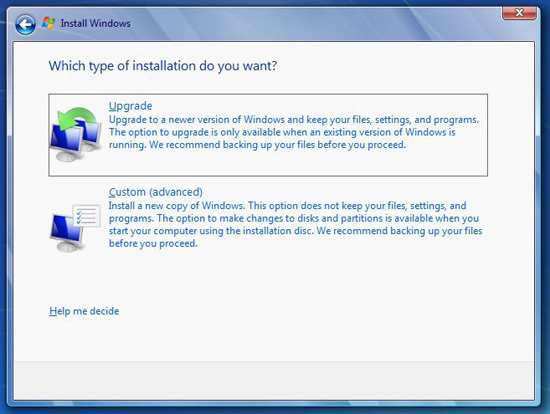 Choose “Upgrade” when prompted, ignore any warnings about incompatible programs your already running them on Windows 7.